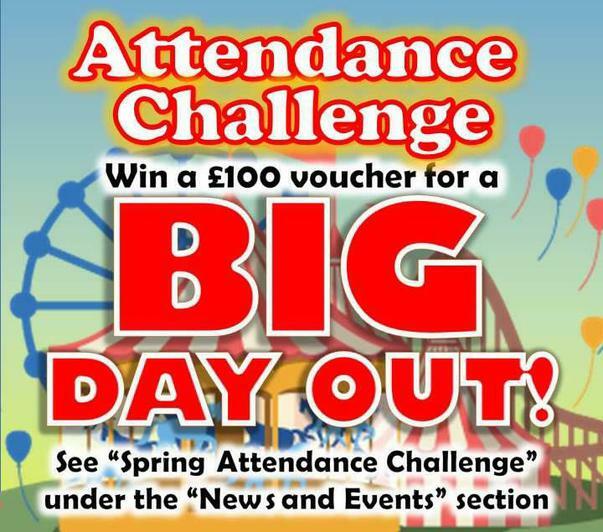 Yes, our Attendance Challenge is back for the New Year! Following the success of our last challenge, this one will give two pupils the chance to treat their family to a fun day out! There will be two prizes of £100 in Leisure Vouchers, which are valid at lots of different venues. You could choose to take the whole family out for a meal at a restaurant, or maybe a fun-filled day out at a theme park! For more information, please visit http://www.leisurevouchers.co.uk/how-to-enjoy/ to get a list of participating outlets. Our winners will be selected out of all those children who have received 100% attendance from 11/1/16 to 18/3/16 and will be drawn just before Easter!